Every winter, travelers residing in chilly climates from around the world spend hours researching which Caribbean getaway offers the ultimate hotel and beach dream package. Now imagine discovering a five-star hotel hosting a bounty of beaches, each one more beautiful than the last. Imagination meets reality on St. John in the U.S. Virgin Islands. Guests waking up to a new day at Caneel Bay Resort are faced with the rarest of beach decisions. Choose from not one, not two, but seven beaches on the resort’s expansive 170 acres. If you’re wondering what kind of hospitality buzz is generated by Caneel Bay’s wealth of beachfront property, consider this: During Christmas week, guests must reserve a minimum stay of 10 days. In other words, on the highest price-point week of the year, Caneel Bay guests gladly add three days to a traditional week-long stay. 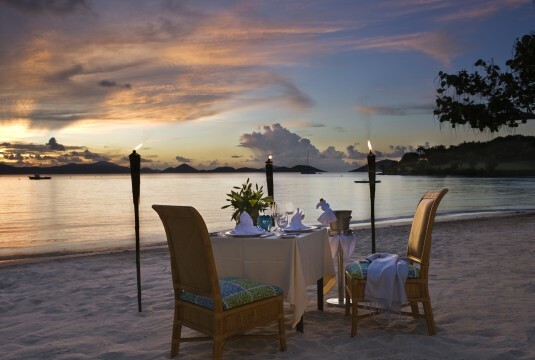 How is it that Caneel Bay is able to offer their guests so much Caribbean oceanfront? The answer to this question dates back to the 1950s when one of the most storied names in American business visited St. John during a leg of a Caribbean cruise. Laurance Rockefeller was so enamored with St. John’s unblemished island beauty that he purchased the land where Caneel Bay now sits. Included in this pristine parcel were seven beaches, each uniquely picturesque. 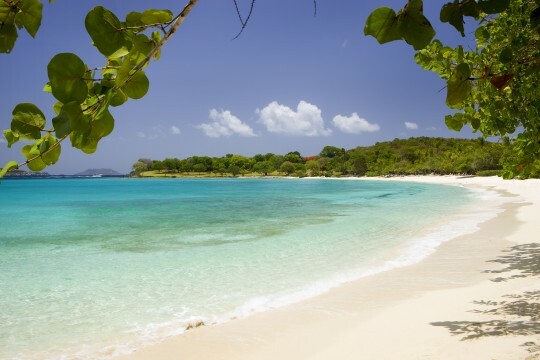 Each beach has attributes and a story which Caneel Bay guests may choose as their own personal favorite. Where one guest may find Scott Beach’s privacy and close proximity to their suite endearing, another may fall head over heels for Honeymoon Beach’s romantic island setting. The remaining five beach names you may find unforgettable are Turtle Bay, Paradise, Hawksnest, Little Caneel, and of course, Caneel Bay. 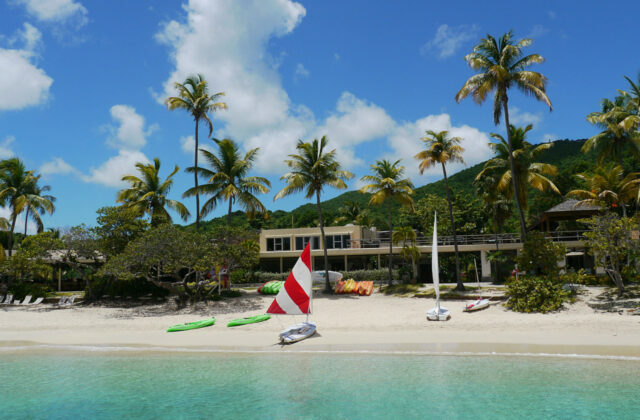 If peace and tranquility are your main vacation motivations, then you’ll find Caneel Bay to be heaven on earth. If you so desire, you’re only face-to-face encounter may be with one of the tame deer that quietly roam the Caneel Bay grounds. If you like to exchange stories with other vacationers, Caneel Bay’s four exquisite al fresco restaurants are excellent venues to compare observations as to which Caneel Resort beach is the best of the best. 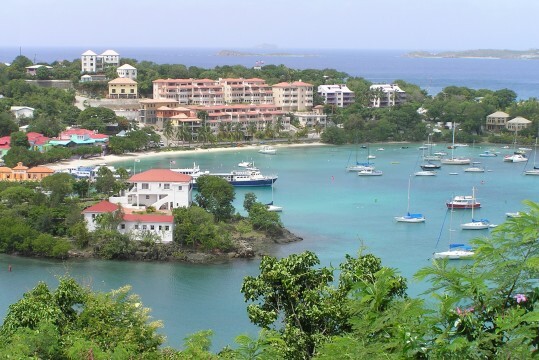 Caneel Bay Resort is just a 10-minute drive to Cruz Bay, St. John’s downtown area. Serving as the island hub, Cruz Bay is a charming mix of restaurants, bars, music, shopping, and marine activity. If you’re into island hopping, then St. John is the perfect launch spot for exploring neighboring Caribbean islands. These exotic escapes are anywhere from a 30 to 90-minute boat trip away. Caneel Bay’s private harbor delivers multiple advantages for its guests. Not only does Caneel’s private transportation from St. Thomas’ airport make getting to your hotel a snap, this harbor receives fresh fish daily for the hotel’s quartet of delicious dining options. 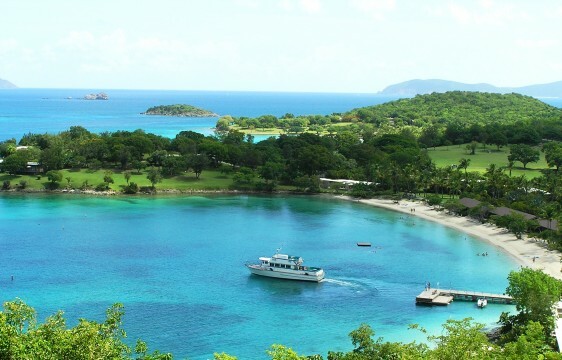 If tennis is your game, then Caneel Bay aims to please. The resort is regularly honored as the best destination in the Caribbean for tennis players. During high season, there are two tennis professionals on the property to assist with your game. As nice as Caneel Bay’s beaches are, keep in mind there are another dozen pristine beaches on St. John’s 19-square miles. St. John is a snorkeling mecca, and vacationers can also trek a multitude of hiking trails within the island’s national park. 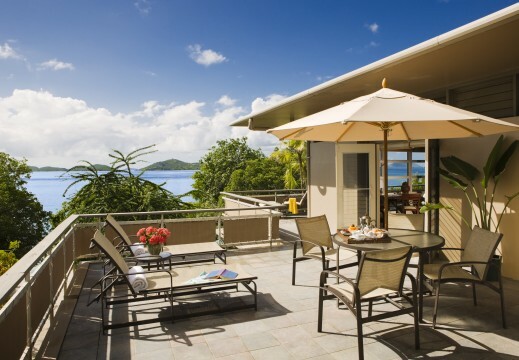 Accommodations at Caneel Bay emphasize privacy, spectacular views, and award-winning service. Each of Caneel’s 166 suites is decorated with natural woods, native stone, and hand-crafted furniture. Air conditioning is at your fingertips, but what’s interesting is that many guests bond with the soothing tradewinds and murmur of ocean waves for sleeping like a baby in the evening. With seven stunning beaches, endless resort amenities, and colorful panoramic landscapes, Caneel Bay is a one-of-a-kind Caribbean retreat. Guests can write their own story at Caneel Bay. Will your memories recount a secluded week in paradise or a chapter exploring the outer reaches of an island with breathtaking beauty? It’s truly up to you. Caneel Bay’s accommodating team will go to great lengths to ensure you’ll find St. John as irresistible today as it was for Laurance Rockefeller 70 years ago.